Like many toy collectors, I'm always on the lookout for old photographs of children with toys. 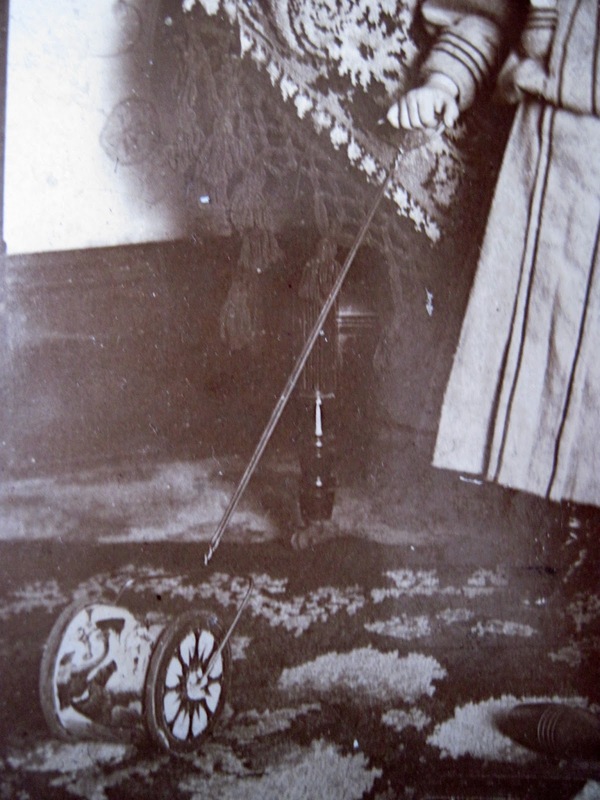 Such photos add character and life to a toy collection; they remind us that the toys were originally made for and owned by real children, who played with them, loved them, and eventually grew up, leaving their toys behind for us to find and treasure. 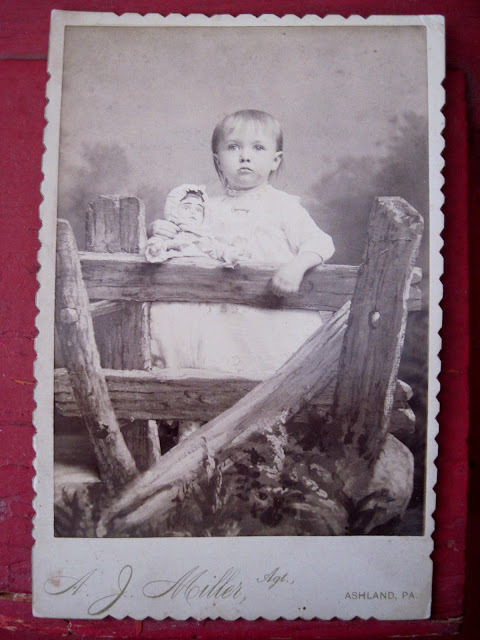 I found two such photos just before Christmas. The first is this posed studio portrait of a little girl with her doll. 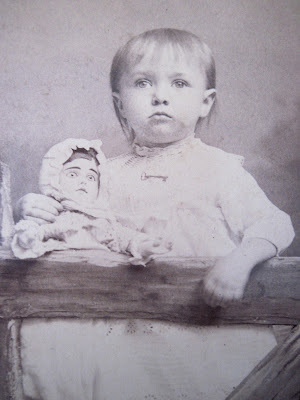 The doll looks like she might be an Alabama Baby, a cloth doll with a painted face in a primitive style. 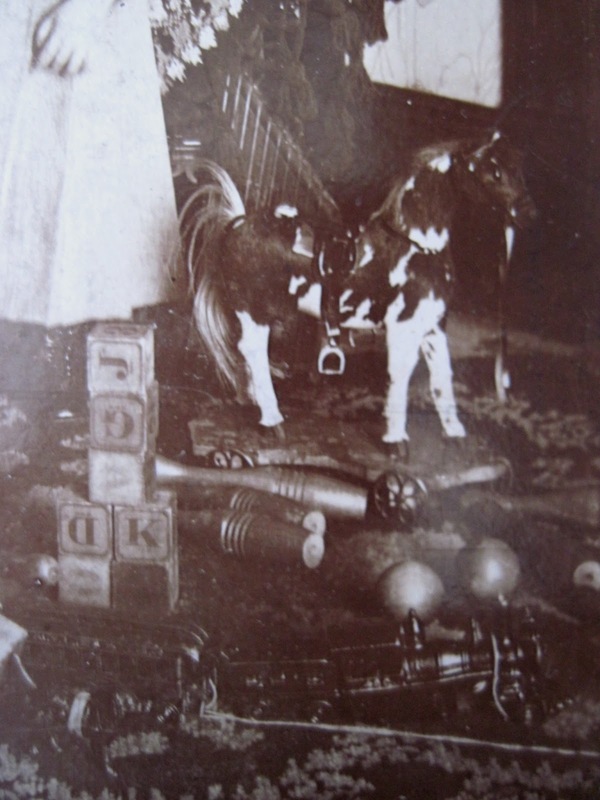 While this photo has a homely charm, the second photograph I found is very different, capturing the image of a wealthy Victorian child surrounded by expensive toys, including a platform horse, a train, blocks, a musical push toy, bowling pins, a horn, and a small horse drawn cart. 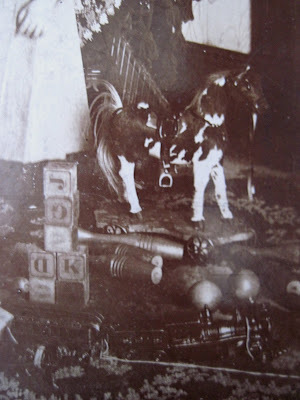 The skin covered horse on its wheeled platform would have been a German import and a pricey toy. 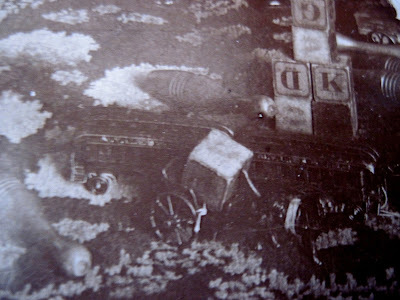 In the foreground is a cast iron train. It's a bit difficult to see, but in the right foreground is a little horse drawn cart, with an alphabet block in the open seat. Here's a closeup of the lithographed tin musical push toy. What a lot of beautiful toys! 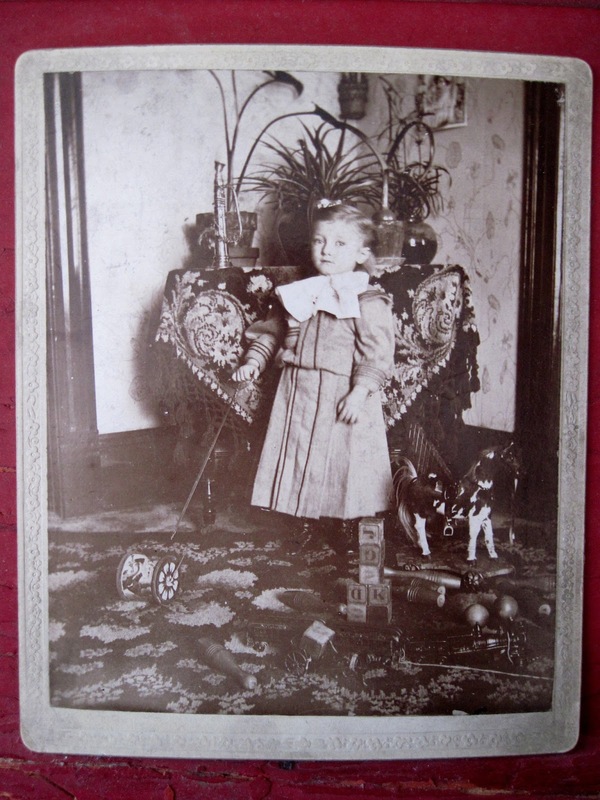 This child must have been very good all year.